MARINE CORPS AIR STATION IWAKUNI, Japan — U.S. service members from Marine Corps Air Station Iwakuni participated in a Japanese driving school safety class in Iwakuni City, Japan, June 23, 2018. Promoted through the city of Iwakuni, the purpose of the program is to educate Status of Forces Agreement drivers on common driving errors in the city and how to correct them. This class is conducted quarterly with 25 drivers scheduled to participate in each class. The course began with an instructional period from Osamu Koizumi, the chief of police for Iwakuni City. During the class he gave drivers data that the Iwakuni police gathered from local traffic accidents and citations. The class also provided refreshers on road signs, turning at stop lights, speed limits and locations of local traffic accidents. 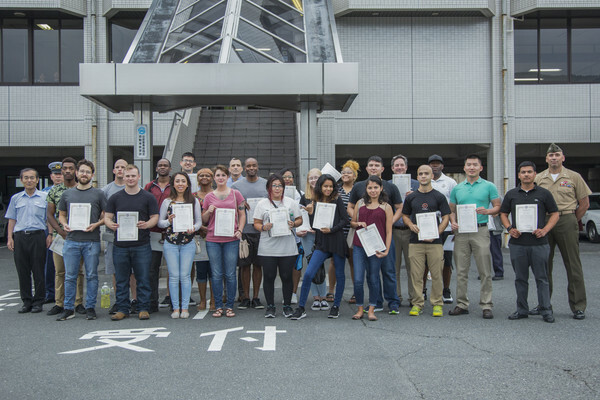 The class transitioned to a hands-on portion, where the classmates drove with Iwakuni Driving School staff on a course that had all of the commonly mistaken signs and traffic light signals. During the course, staff members took notes of what the drivers did and did not do right to hold onto and learn from later. Of the 25 students who attended the course, they all received a certificate of completion for the class. Inge said he would definitely recommend future classes to his fellow service members down the road.